The Year 11 students followed up the A Level successes with an excellent set of grades at GCSE and IGCSE. The School is pleased to report an A*/A success rate of 81%. 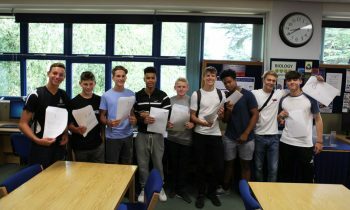 A total of 42 boys achieved 9 A* grades or better, of which 16 pupils obtained straight A*s in all of their subjects. The strength of the year group as a whole can be seen by the 82 students who managed to achieve a straight set of A*/A grades. The majority of subjects are now examined through the rigorous IGCSE papers, and with most Whitgift students taking at least 10 GCSEs, these results really highlight the all-round ability of our boys. The Whitgiftian Association would like to warmly congratulate the students on their success. They can be very proud of their results following so much diligence and dedication.